The Amazing Tim Young moves to Music Monday. This singer-songwriter and guitarist plays upbeat music that you can tap your feet to on Jan 28, 6-9 p.m. Before moving to Sedona, Tim had a 30-year music career in NYC where he performed hundreds of shows and released three CDs. Instrumentally, Tim is a standout rhythm guitarist, both acoustic and electric. He has composed music and songs for TV and several independent films. Tim’s lyrics are inspired by personal relationships, politics, the bar scene, and the music business. Tim Young looks like a musician. His long blonde hair is worn loose under his trademark black fedora, and when he plays, he’s frequently in a black button-down shirt and blue jeans, his prized Martin acoustic guitar in hand. Tim was born a performer, first in choir in elementary school, then as a theater actor off-off Broadway and finally as a musician since 1980. He says he always tinkered with guitar playing – and when he was a teen, his parents forced him into accordion lessons – but it wasn’t until his theater partner convinced him to write songs for his plays that Tim got serious about music. He formed his first band in 1980, and he went solo in 2002. Tim also DJs weekly at KSZN 101.5FM in Flagstaff. His show is called Throwing Light and it airs on Mondays from 3 to 4 p.m. Ever the entertainer, he says he plays what he wants and has a blast. “It’s a rush to perform,” says Tim. “When all the cylinders are firing, and you see it getting out there, even if it’s to just one person in the bar who’s connecting with me, then I’m performing at a level where I want to be.” – Erika Ayn Finch. Photo by Dan Turner. Tim Young performs June 2 and 3 at Full Moon Saloon (7000 AZ-179 at The Collective Sedona in the Village of Oak Creek) from 8:30 p.m. to 12:30 a.m. He also performs at Vino di Sedona (2575 AZ-89A in West Sedona) on June 15 from 7 to 10 p.m. And you can catch him at Spirit Room (166 Main St. in Jerome) on June 22, 8-11 p.m. For more information, visit www.timyoungmusic.com. 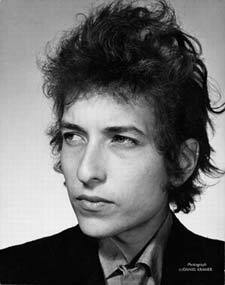 Bob Dylan was awarded the Nobel Prize for Literature on December 10, 2016, and he and his music will be honored right here in Arizona at the 12th Annual Bob Dylan Birthday Concert on Saturday, May 20, at 7:00 pm, at the Old Town Center for the Arts in Cottonwood. Get your tickets early for this historically sell out event. This year's "Bob Bash" once again features some of the best musicians in the area, including Larry & Leslie Latour, Tyler Barrett, William Eaton, TIM YOUNG, Gary Simpkins and Mike McReynolds, all performing acoustically. Local poet, Gary Every, will speak about the Nobel Prize. As is tradition, the popular Mystery Tramps, the electric band of Joe Neri, Gregg Gould, Hutch Hutchinson and Matt Fabritz, will rock the house. Wonderful performance! We totally enjoyed Tim's singing and playing. Very talented and a great addition to our party! I would recommend Tim without hesitation. "You've got the soul of Johnny Cash, and the passion of Neil Young and the swagger of Elvis. It's just awesome, I loved it!" The episode may be viewed by clicking on Verde Valley Experience. The performance begins at 52:34. Stay tuned after Jennifer's interview with Mighty Tim for a performance of a brand new song. "On The Road." Not available any where else! The Tim Young Band had a feature here back in the early days of the blog, and last year Tim Young decided to try a different route. You know that saying that a good song will show itself, even if only singing it at home, playing a guitar? Well, that is kinda what Tim did. And presuming the saying is true, he is delivering good songs! Actually the whole Life Of A Song cycle is made up of 5 EP’s with 4 or 5 songs each. See them them pictured on the side. With a total of 22 songs, this procedure makes sense. As a whole it is quite a lot to listen to. But when divided into 5 bits, each of them is easy to handle. Not really good with referencing this, but I guess somewhere between Johnny Cash, Neil Young and a dash of Elvis comes close. Mind you, all is recorded live in a studio with Tim’s voice, his guitar and occasional some effects on that guitar. That is it. So it all comes down to mood and lyrics and I think he pulled it off. As the EP’s progress, his singing seems to become more confident and despite the minimalistic approach it is easy to connect. Sometimes a voice and a guitar is all you need! So there you go, maybe not for all day every day, but enough fine moments to enjoy when the company is good! The CD’s can be found at CDBaby and iTunes by the way. Greenwich Village is for many a living memorial to the artistic greats; its with an air of reverence that one walks down the street and visits the hideouts that served as home to the crop of horrendously talented youths in the 1960s. One cannot help but be inspired by this atmosphere, and Tim Young is one such man. Born in Pennsylvania, he moved to the Village in the late 1970s, where he says one ‘could still feel the cool vibes from when Dylan and company ruled on MacDougal Street.’ Further showing his admiration for his idols, he mentions time spent at the Kettle of Fish pub, an old haunt of Bob Dylan and Jack Kerouac before him. I won’t lie; at first I was confused that a singer-songwriter was calling himself the Hell’s Kitchen Rock ‘n’ Roll Legend. But I was forgetting one of rock’s fundamental elements: honesty. After all, it’s all about laying out your heart and soul and Young clearly does this in every song. It does not matter how hard you bang the drums, if your hearts not in it, the audience will know. In this way, Tim Young truly is a rock ‘n’ roll star. A solo guitarist, composer and songwriter from New York. His latest work (which is called No Stranger) is a collection of instrumental songs, very different from what I expected to hear as I’m used to the independent and underground sounds. Nevertheless I found his music to be genuinely expressive and emotional, a quality that I always like in music. 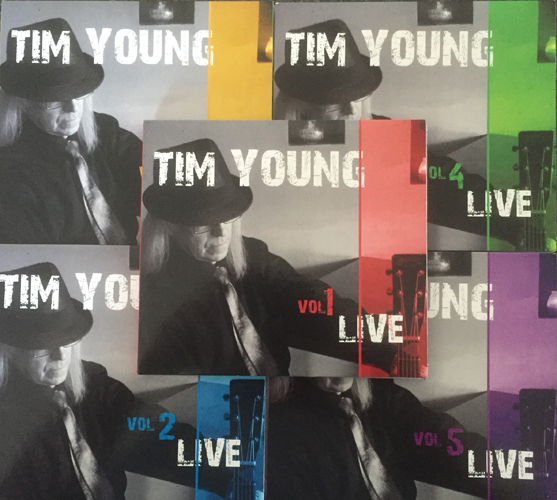 I cannot categorize Tim Young’s music in a specific genre as you find Rock influences as well as a little Jazz, Blues and Soul hints. With the use of acoustic as well as electric guitars, keyboards and the occasional well-placed percussion sounds, No Stranger is a fusion of various genres and combination of instruments, although the basic idea of the music is simplicity. Calm, contemplative, tragic and beautiful at the same time. Imagine yourself sitting on a bench on a street, just watching how the world twists and turns into all that can occur. Well, No Stranger would be a good soundtrack for this moment, from tragedy to happiness and loneliness. “Faded”, a clear example of what simplicity can do, this is an outstanding song. With its acoustic guitar doing the rhythm part and the electric guitar making the lead melodies from beginning to end, the mood and feeling you get from listening to this song is great. Very simple instrumentation yet this straightforward approach made this song one of my favorites. “Spirits” was an odd song for me, and considering that I’ve listened to everything from minimalist, experimental, glitch, noise, and other “unusual” genres, this song really surprised me as I had never heard ambient mixed with rock guitars and a touch of well-placed noise. It is a nice blend and its lo-fi sound made this atmospheric song a truly new sound for me to discover. Although not in the realms of indie music as most people know it, Tim Young is an artist that is well worth listening to. His expressive atmospheric songs will capture your imagination.